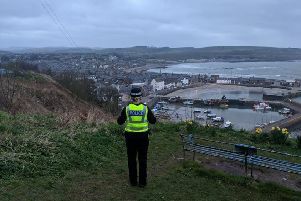 Officers have appealed for witnesses following a theft by housebreaking at the Co-Op at Redcloack Drive in Stonehaven. The theft happened between 10pm on Saturday, 11 February, and 5am on Sunday, 12 February. Alcohol worth a mid three-figure sum of money was taken. Anyone with information is asked to contact police on 101 or Crimestoppers on 0800 555 111 if you wish to remain anonymous.